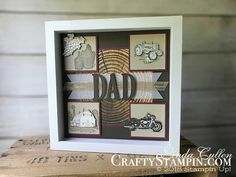 The shining star of the Stampin’ Up! Needlepoint Nook Suite has to be the Needlepoint Elements Framelits with the great dies that leaves a great stitched floral image. Here it’s used twice, once on the card base and again on the Berry Burst circle as a background to the greeting from the Needle & Thread Stamp Set. 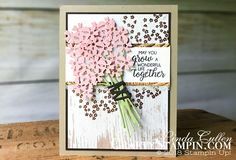 The card is finished with the Old Olive Linen Thread wrapped around the Needlepoint Nook Designer Series Paper panel and tied with a bow.